The Federal Government said it will commence the implementation of the 2017 Revised Import and Export Guidelines in January 2018, in efforts to enhance the ease of doing business in the Nigerian economy. When this takes effect, it becomes mandatory for both import and export goods to be palletinised in containers as done globally. 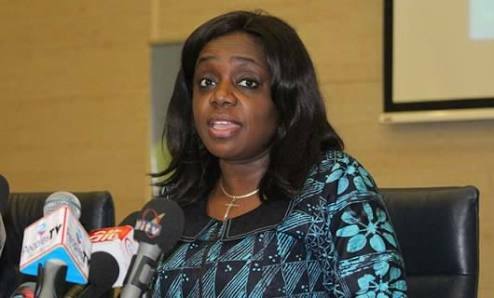 The Minister of Finance, Mrs Kemi Adeosun, disclosed this at a sensitisation workshop on the 2017 Revised Import and Export Guidelines in Lagos. She explained that the date was fixed after due consultations with relevant stakeholders, and assured that imports already prepared for shipment into the country were not affected. The Minister, who was represented by the Director, Home Finance, in the Ministry, Mrs Olubunmi Siyanbola, said the Federal Government has considered all concerns expressed by the trading public regarding the palletisation policy. She explained that the review of the Nigerian Export and Import Guidelines was motivated by the desire of the present administration to deepen the ease of doing business in Nigeria, in line with the Executive Order 1. 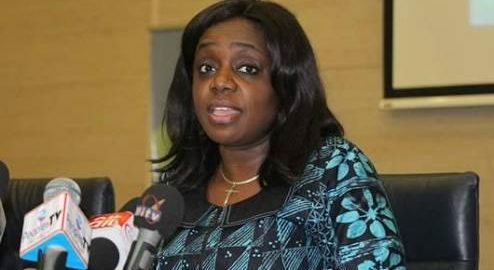 Adeosun said attention has been focused principally on measures to ensure drastic reduction in the time spent on processing of exports, to ensure 24 hours clearance of imported cargoes, and block leakages of revenue accruable to the Government. The Minister said Nigeria has moved to the 145th position out of the 190 countries in the World Bank’s ease of Doing Business Index for 2018, adding that Government has adopted a number of measures to improve trading across the country’s border. The measures include reduction of documentation requirements from ten to seven days for exports; and from 14 to eight days for imports, while additional responsibilities have also been given to the Nigeria Customs Service, and Nigeria Ports Authority, and sanctions have been introduced to enforce compliance. Speaking earlier, the Permanent Secretary, Ministry of Finance, Dr. Mahmoud Isa-Dutse, noted that until the recent review, the Export and Import Guidelines had become obsolete, and had constituted a huge administrative impediment to smooth export and import operations in Nigeria. He said the Export Guidelines came into effect in 2007, while the Import Guidelines had been in existence since 2013. Isa-Dutse, who was represented by the Director of Information in the Ministry, Salisu Na’inna Dambatta, expressed optimism that the revised guidelines will eliminate the bottlenecks that have militated against efficient conduct of trade across the country’s borders, which had contributed to the declining ranking of the country in this regard. The one-day workshop featured the presentation of papers, panel discussions, and questions and answers session, and a communiqué was issued at the end of the workshop.